Inspired by the very popular V8 series from the land down under, the 600 BHP SuperV8 series provide some of the purest racing action on the planet. Once a support series for Stock Car Brasil, the Copa Montana cars are 340 BHP prototypes shaped after the popular GM pick-up trucks. Though the series was discontinued in 2013 (having since been replaced by the similar spec Brasileiro de Turismo), it is an excellent entry level series for our V8 line-up. Plus, the pick-ups look cool! Based on specs from an early 2000s F1 car, the Formula V10 represents the peak of single seater performance in the history of the sport: 605kg, 900 BHP, grooved tires, massive downforce under a roaring V10 soundtrack. This car will complete our GSCE F1 line-up with one car based on each of the past 4 decades simulated in the sim. 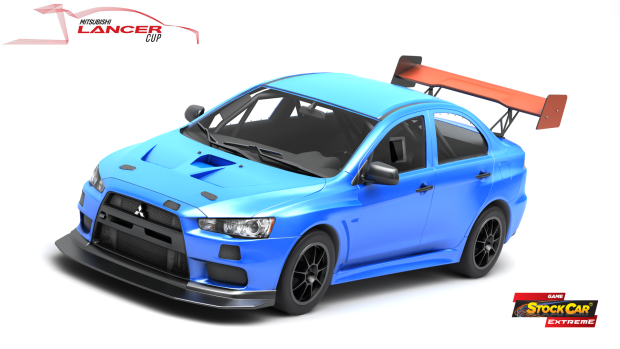 A top-spec rallycross-prepared Mitsubishi Evo X with 600-HP, turbocharged, 1300kg AWD monster that will blow your mind! 600-HP V8 Supertrucks to run both on customized race tracks & dirt courses. Sounds fun enough? 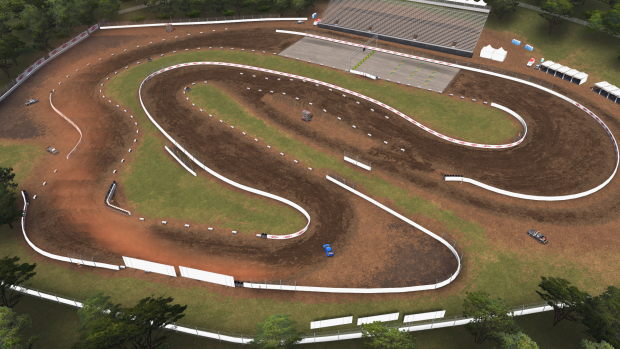 Semi-fictional dirt track at Foz do Iguaçu, based on the course used for the X-Games in 2013, expanded with fictional alternative layouts. Adittions of Renault Fluence & Honda Civic to complete the series 2015 Copa Petrobras De Marcas lineup. 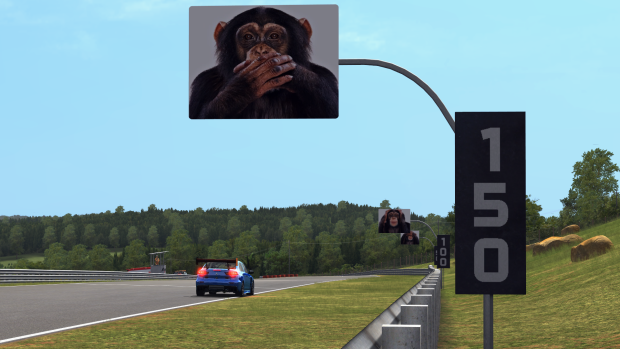 Custom championship tool so users can build their own seasons for offline racing. Dynamic weather & track conditions. Mal ein Update 4 Tage vor Ende! Features / Improvements: Support for long distance races; Automatic steering ratio adjustment + Increased maximum controller inputs from 3 to 6; various fixes to existing issues & minor improvements to physics, AI, rules. 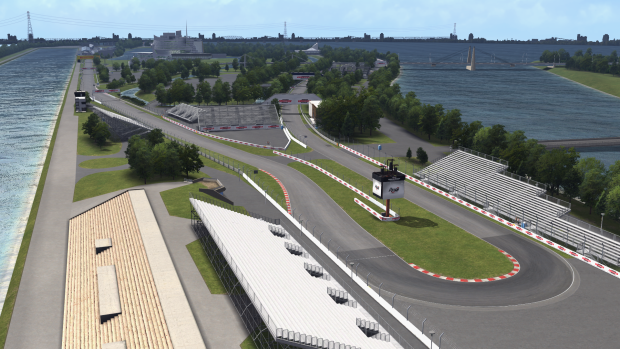 V1.37 beta (including Modern Montreal & SuperV8) is being uploaded as we speak and will be made available to backers from level 2 upwards shortly. The devforum is also being set up for all backers - information regarding both will be submitted to backers´ emails shortly. The official rooms for public multiplayer racing are also live now, and are the base for the structure we intend to develop - racedepartment.com/threads/off…ultiplayer-racing.108849/more info about it here. The above thus is what is already CONFIRMED as upcoming additions. Features / Improvements: To be confirmed. Keep in mind the breakdown above is an estimation, rather than a plan set in stone - it will remain subject to tweaks according to further feedback from backers and other circumstances. Also important to remember that all backers from Level 2 & upwards will receive early beta access to these developments before they are included in the official releases.